Four people are in custody in Christchurch, New Zealand, following shootings at two mosques which left a "significant" number of people dead, according to police. Scary times. No one caught yet, but reports state the shooter hit more than one mosque. Story still developing. (CNN) — Police in the New Zealand city of Christchurch are responding to a "serious and evolving situation" involving an active shooter, with witnesses describing a gunman entering a mosque and opening fire. Parts of Christchurch is on lockdown and armed police have been deployed after receiving reports of shots fired in the city center at 1:40 p.m. Friday local time. Heard one suspect is in custody, and unfortunately two mosques were hit, 9 killed so far, that number may change. Investigators are not sure if there are any other suspects, but still searching/investigating. Prayers to the victims and their families. Unfortunately a terrorist attack. Many killed. White supremicist perpetrators, confirmed by manifesto found online. Automatic weapons involved. Handled with great care by Prime Minister Ardern. Wasn’t afraid to bring up gun law on the spot either. Many killed. White supremicist perpetrators, confirmed by manifesto found online. Automatic weapons involved. Handled with great care by Prime Minister Ardern. Wasn’t afraid to bring up gun law on the spot either. Not a shooting based on racist motives. Motivated by a blind hate for anything muslim. And yet his manifesto praises far rght people, although his manifest was a hodgepod of different sources. He used a far right "Dingoes" meme. His stated aim was that "European" civilisation is being attacked across the world by the Mulsims. Hatred of Muslims and racism is very common with the far right. Horrible. 49 dead, prayers for the victims and families. Wow, so it turned from one suspect in custody last night to four? My goodness this is horrible. The news came across the U.S. media around 11:30 pm on the East Coast. This is horrible, much love to the families and friends of the victims. Exactly, that anti-Muslim hatred is happening right here in the U.S. especially since the 9/11 attack. Anyhow... I hope they feed that idiot to the sharks. Do they have the death penalty in New Zealand? "Although not confirmed as the suspect's by authorities, a 74-page manifesto titled "The Great Replacement" was posted online beforehand and matched several known details about the suspect and the attack. It contains a sprawling array of anti-immigrant, anti-Muslim and white-supremacist references, repeating common far-right talking points. It also condemns attempts to restrict firearms in the U.S. and pledges to start an American race war." Yeah, I see, it has absolutely nothing to do with white supremacy. Race War is the tragic new meme, it's everywhere. Nope. Even in this most awful situation, I’m glad we’ve moved past that. Don’t believe in eye for an eye. Sad that anyone would write sucha thing. What a horrible thing to see when I woke up this morning. It makes me very angry and very sad all at the same time. I also can't believe the horrible things some people are saying on social media and that includes a few from this site that make it very clear that they agree with white supremacy. 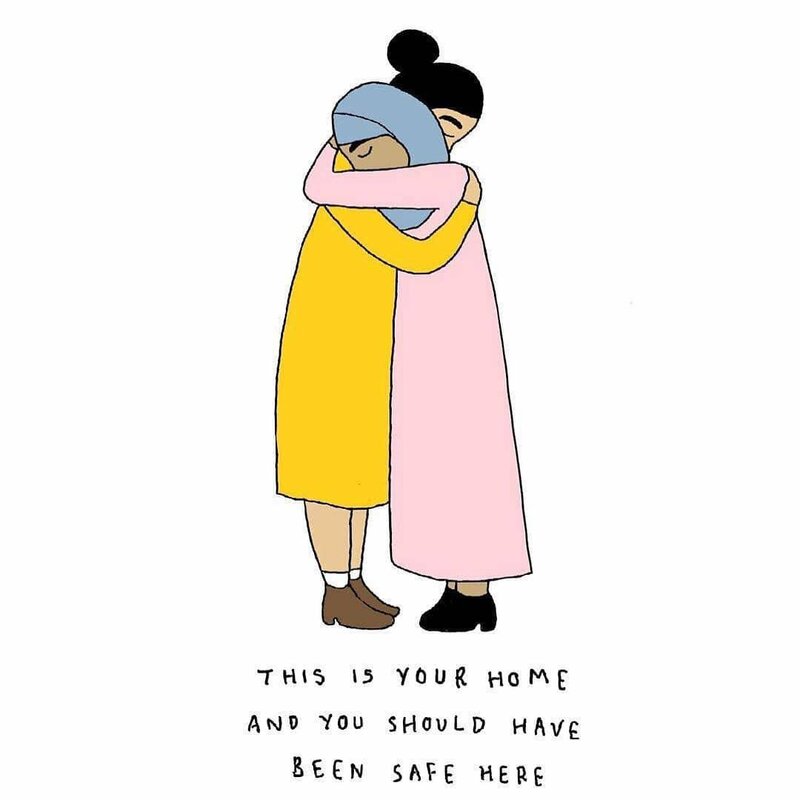 I hope the great people of NZ hold tight to one another and don't let this this divide them. Hatred and intolerance only bring more hate and intolerance. Dude, I don't know if you're insisting on this because you just personally hate religion that much or because you have some horrible racist views yourself that you don't want to get dragged into this situation but you are wrong, this is a racist attack. Targeting Islam is part of the racist rhetoric, sure, they're the most common target right now, and radical Islamicists elsewhere in the world are used as justification for these attacks, but when it comes down to it that's only the beginning. I suppose the closest you are to correct here is that it's not only racist, it's also anti-trans, anti-gay, anti-vax, anti-modernity etc. If a dog attacked and killed 49 people, it would be put down. I don't see why humans are treated any differently. No death penalty? Of course not, the only death penalty in this case is the innocent victims and their families.